An article by Ciaran Laval mentions me along with my friend Estelle as two games creators in SL while quoting John Carmack of Oculus as saying ‘Minecraft being a better fit for a Metaverse than Second Life because Minecraft has user generated content AND game play’. I don’t play minecraft, I’ve watched a video. Users seem to build things like giant blocky starships and dig holes and occasionally bash things. Thats all i’ve taken away from Minecraft. Things might have changed since then, i would not know. But this is an example of how i expect it is for people who hear about Second Life. Unless you use it, how would you know anything about it? Of course there is a lot of user generated content in Second Life, and there is definitely a lot of games to play so is Carmack talking crap? My whole existence in SL is about having fun and games so of course i’d be at odds with Carmacks view that there are no games in SL. I’d suggest that there are a lot more different types of gameplay in Second Life compared to Minecraft. Some need specific scripted systems, others just need your imagination and a good environment to immerse in. So where are all the games? There are games in Second Life, but its not easy to make them. Even the new Experience Toolset designed by the Lab to make it easier to create more immersive game play is still hard to use if you are not a coder and most users are not coders. It’s also hard to spread the word of them. You simply MUST get your experience put on Second Life destination guide web site or it won’t get noticed. It makes me wonder how we used to share experiences to bigger crowds back before the destination guide launched? Users don’t create with optimisation in mind, why should they? There are still some who believe SL has a future with VR Headsets. I have been forced out of that optimism thanks to Oculus halting mac support, although i had doubts about the SL platform being able to handle it before then. Second Life is always struggling it always has and always will because it’s old. Adding new things to SL is like trying to charge a new iPad with and old iPad power cable. Users build lots of new things on top of and around old things. Half the time we don’t know what we are doing when we build stuff and the lab does not really have anything in place to tell us ‘HOLY CRAP THAT THING WILL KILL EVERYONE IN THE SAME REGION” We just build and build and build. I feel i know a bit about building efficiently in SL, but truth is i don’t really know if it is or not. Half the time i don’t think anything i do makes a difference, how would i know? But should users have to worry about optimisation? Imposing limits on users creativity might destroy the freedom of creativity SL users enjoy so much. Linden Lab knows this. It’s why i think Project Sansar was started. So this brings me to the recent buzz about the first glimpse of Project Sansar which I may have looked at it differently to others. While most probably looked at the buildings and avatars thinking about how nice it looked i was looking at it as 3D models for clues to what it could potentially allow me to do as a creator. There actually is not many clues, the only real pleasing thing i took away from he tease was the shaders. Most users may think that a key to realism in digital worlds is high poly detailed models, but actually its lighting. With he right lighting you can make even the most basic boxy 3d models look photo-real. The other thing i took notice of were the flying ships, leading me to ask were they avatars? were they path finding through navmesh? or simply following a motion path? When it comes to Sansar i will be looking for what new things i can do, and what improvements on old things i have already done. One bit of information from the Lab is that they hope to introduce automatic optimisation of content. How this will be achieved has yet to be revealed along with many other unanswered questions. How do users communicate with each other? how do users build together? how do communities begin and grow there? and of course how much will it cost? While SL Users like myself may well feel loyalty to the King of Virtual Worlds, there are other contenders coming onto the scene such as Facebook/Oculus Social, AltspaceVR, High Fidelity and Landmarks Virtual Worlds Fairs. They all seem to have one or two aspects of Second Life but none of them have the full depth of connectivity or creativity of Second Life. 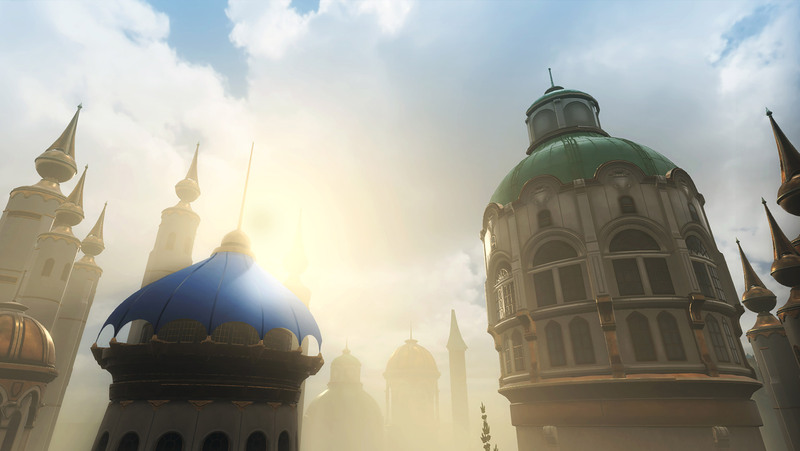 Even Sansar may drop key features some users might find essential to the SL experience. Which if any of these platforms may take the crown i can’t say. Second Life as it is now is a completely different platform to the one that i joined in 2005. It has been shaped by it’s users. The way it looks, the way it performs and the way it’s users use it. Perhaps it takes more than simply adding games and creativity on a platform to make it worthy of the metaverse title? A lot of anxiety with SL users is the dilemma of two virtual worlds. My community userbase is in SL and unlikely to migrate to Sansar if it proves tantalising enough. I’d imagine it depends on the users. Some SL users are hardcoded into the fabric of SL with history and places they call home. Others will find it easy to hop between the two. I tried High Fidelity and found it incredibly hard. The most frustrating part was not being able to use Blender to export models, armatures etc to import to High Fidelity and a quick look at their forums suggest Blender is still a problem there. It made me feel very amateurish trying to use an open source program to create content. If the same happens with Sansar that would be very disappointing indeed. As a content creator i will go where my creativity takes me, but my loyalty to my friends will keep me in SL as well. Wether i can cope with two virtual worlds has yet to be seen. I might not even be able to use Sansar. 2016 is going to be a fascinating year. Great post, Loki. For some reason the Lab did not add my little Helloween game on the destination guide and as a result I had less than 50 players. And the game was even free. I didn’t want money, only many player… Very dissapointing for so many hours of work invested. Pingback: Loki’s so wise questions. | ZZ Bottom misadventures in Virtual Worlds! People that compare minecraft with Secondlife not really know what the compare. Apples vs Pears. The userbase is a big reason why people stay in secondlife. There are games in secondlife, more then people think. But , there’s a problem in second life. We now have experience keys, nice you think. Well. To get experience key you need premium account. And when you have that. experience keys are still useless because you need a sim. And now we hit the nail with big hammer. Secondlife is to expensive for most of the users. parcels are already expensive and you never be sure about the view after all your still limited in what you can do on parcels. But, right now it seems that secondlife is only schrinking. The amount of sims is still dropping. Unknown for me if it’s because opensim that is cheaper then secondlife. with knowledge you can run your own sims. But the userbase is limited compared to secondlife. Then we have SanSar and High Fidelity on the horizon. SanSar is still hiiden on mountain top inside thick clouds. the only info we know is what you can read on blogs of press releases. Now we talk about SanSar. Am still curious how far the really are compared to High Fidelity. the latest picture mystery and video is not saying really much to me. The could have make a special small scene for this video to keep people intressted. But still the in reality not so far as we all think and hope. Now we get to the creativity part, secondlife is old, because that there re many materials and objects available. But how usefull is all of that if cannot have enough land to create things ? Or create a dream place ? Is SanSar going to solve this ? High Fidelity is not a problem, you can run your own sim or rent one someday. sim is btw wrong name for high fidelity. you need to call it a domain. You talking bout problems with blender and high fidelity. offcorse there are some. most are fixt or get fixt. I think the support of blender at this point is better in high fidelity then in sansar. high fidelity users are most blender users. But sansar is msinly developing first for maya and want to add supprt for other formats at some point. Mabye the already did, who knows. Im a but skeptic about the new the new HMD hype. there enough cases that it’s not a good way to do something in virtual world, besides a desk gives not enough space for it, to work with. Just dome prediction. HMD will create new medical sickness symptoms. Anyway, in secondlife my creativity fid slow down to slug speed. 2016 and 2017 are going to be intressting years. meanwhile it’s a confusing time too.